I have not seen any teardowns or any information of whats inside of the Virgin Media Super Hub 3 so I thought I would do it my self with one I bought from ebay for £10. As Dave at the EEVBLOG would say "don't turn it on, take it apart!". The Super Hub 3 DOCSIS 3.0 modem/router/Ethernet switch is an Arris TG2492 and will named as such throughout. The main goal of the teardown is to extract the firmware which I will do at a later date. 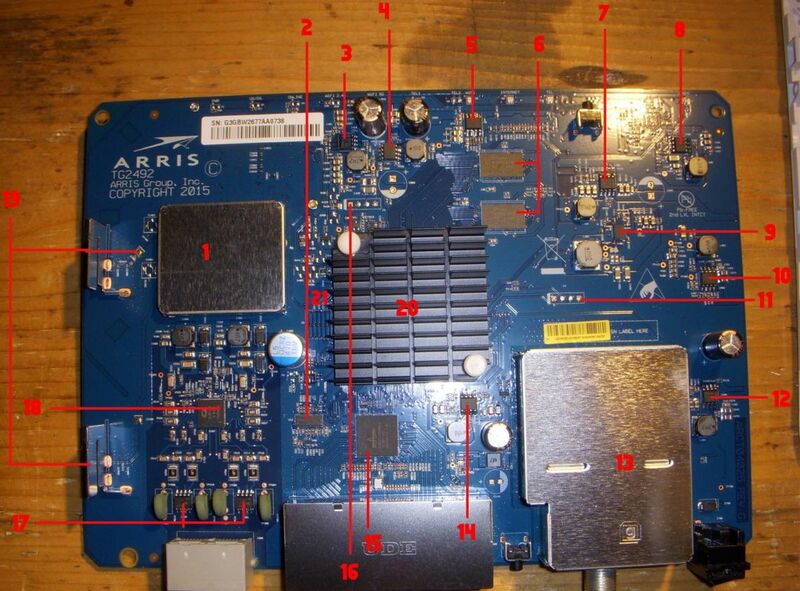 First of all here are some pretty pictures of the Arris TG2492. To disassemble you first have to shim the front panel off with a thin piece of plastic or just use a flat head screw driver if you don't care about damaging it. Remove the Torx screw which is now visible from behind the front pannel. Flip the TG2492 around to the rear and remove the sticker which surrounds the all the ports. You will need a very sharp thin knife to do so. Once the sticker is removed then proceed to remove the 2 Trox screws which are now visbale. 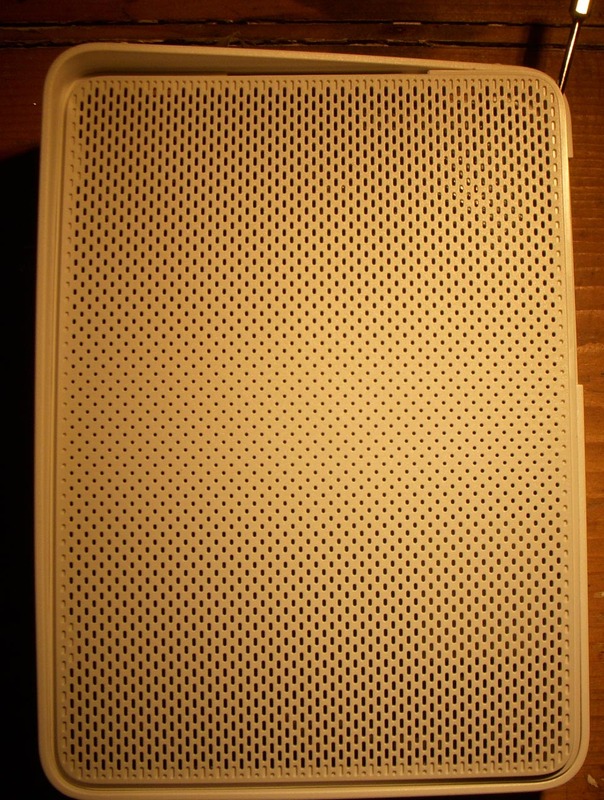 Now place the TG2492 flat so that the plastic mesh side closest to the screws is pointing upwards. Place a flat head screw driver between the case and the plastic mesh in the bottom left corner and gently pry the mesh upwards. Once the mesh is raised enough to get you fingers underneath proceed to pull the rest up by hand. Now we have a rear view of the PCB. 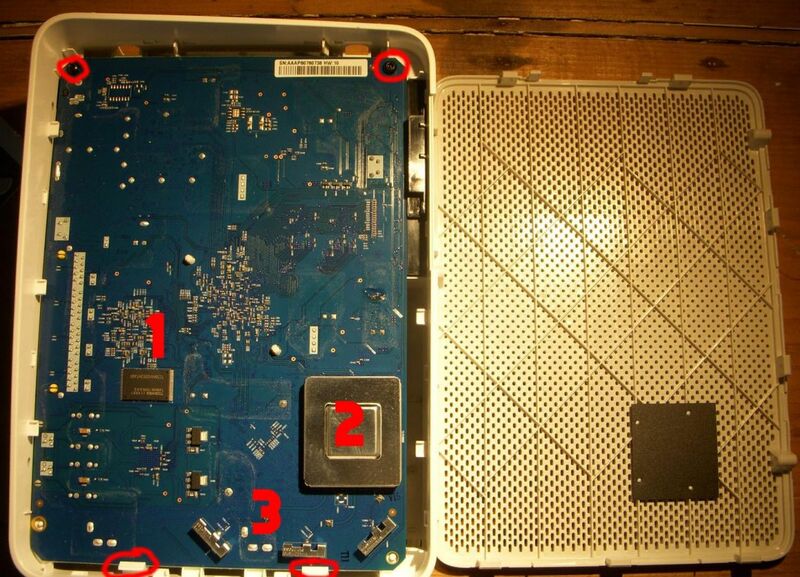 To remove the PCB , remove the 2 Torx circled in red at the top of the picture then push back the 2 white clips also circled in red at the bottom of the picture. Copyright (C) 1999-2012 Intel Corporation. All rights reserved. 1000M FD Link is ready! Configure IP via static IP. otherwise DOCSIS subsystem won't boot! Press 'Enter' within 0 seconds to disable automatic boot. 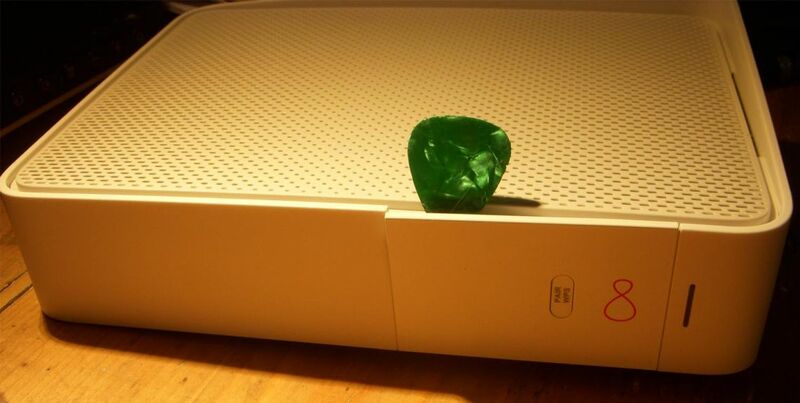 shell> bootkernel -b 0x200000 "console=ttyS0,115200 ip=static memmap=256M$256M"
WARNING: Ancient bootloader, some functionality may be limited! ns_cgroup deprecated: consider using the 'clone_children' flag without the ns_cg                                           roup. Performance Events: PEBS fmt0+, generic architected perfmon, Intel PMU driver. Booting Node   0, Processors  #1 Ok.
Total of 2 processors activated (4800.03 BogoMIPS). e1000: Copyright (c) 1999-2006 Intel Corporation. udma -  Copyright (c) 2012 Intel Corperation. ixgbe: Copyright (c) 1999-2011 Intel Corporation. ixgb: Copyright (c) 1999-2008 Intel Corporation. Refined TSC clocksource calibration: 1199.999 MHz. VFS: Mounted root (squashfs filesystem) readonly on device 179:12.
devmem load sucessfully. major num is 249. ESS OSAL release - Built on Dec 11 2015 at 16:10:17.
intelce_gpio 0000:01:0b.1: CE2600 GPIO controller detected. CE2600 Smartcard Controller found currently! Could not find the script associated with the '/etc/rc3.d/inetd' init script. contact the component owner to correct this issue. samba :: found invalid parameter in conf file -  - for tdb files. deleting it..
samba :: found invalid parameter in conf file -  - for pid files. deleting it.. This is a CEFDK failsafe upgrade ready platform. Standalone punit in field upgrade is not supported. Cat Mountain D0 - Boot Ram. eMMC/NAND copy from 0x00240000 to 0x51FB0000 (len:262144). *** UBFI1 bootscript executed successfully. [Debug - Kerenl] LZMA Uncompression - Done. PAL_cppi4Init: CPPI 4.1 API initialized successfully. HIL Core: Profile intrusive_pp2k has been Loaded. eMMC F/W Auto-Upgrade: /nvram/mmc_settings.cfg not exist. Copyright (c) 2007 - 2014 ARRIS Group Inc. Setup memory config from file "/etc/sysctl_mem.conf"
pcd: (226): Starting TI Process Control Daemon. pcd: (226): Error: Unable to open configuration file /etc/scripts/bbu.pcd. pcd: (226): Error: Unable to open configuration file /etc/scripts/dsg.pcd. pcd: (226): Loaded 150 rules. pcd: (226): Starting process /etc/scripts/l2switch_drvinit.sh (Rule PUMA6SYSTEM_L2SW_INSMODE). pcd: (226): Starting process echo (Rule PUMA6SYSTEM_DECT_UART_IRQ_P). pcd: (226): Starting process mknod (Rule PUMA6SYSTEM_CRU_CTRL_MKNOD). pcd: (226): Starting process /usr/sbin/watchdog_rt (Rule SYSTEM_WATCHDOG). pcd: (226): Starting process /sbin/ti_syslogd (Rule SYSTEM_SYSLOGD). pcd: (226): Starting process /usr/sbin/logger (Rule SYSTEM_LOGGER). pcd: (226): Starting process /usr/sbin/gptimer (Rule SYSTEM_GPTIMER). pcd: (226): Rule SYSTEM_WATCHDOG: Success (Process /usr/sbin/watchdog_rt (231)). pcd: (226): Rule PUMA6SYSTEM_CRU_CTRL_MKNOD: Success (Process mknod (230)). 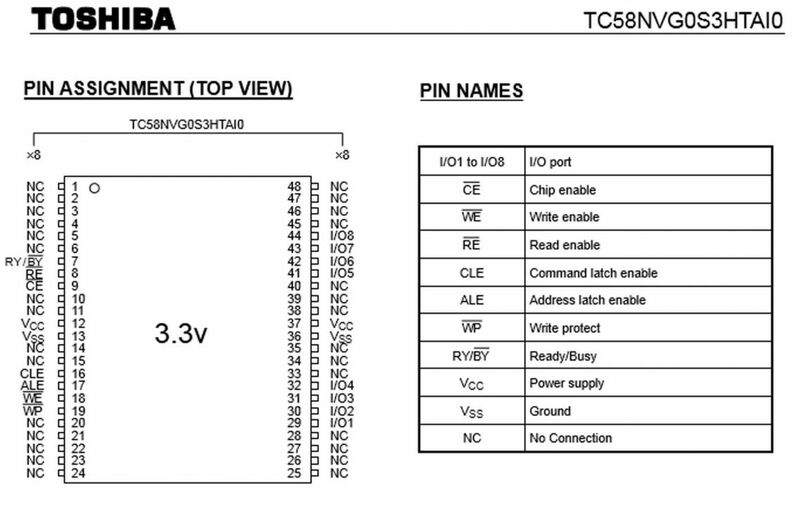 pcd: (226): Rule PUMA6SYSTEM_DECT_UART_IRQ_P: Success (Process echo (229)). pcd: (226): Rule SYSTEM_GPTIMER: Success (Process /usr/sbin/gptimer (234)). Allocated parts table for 1024 file descriptors. Called allocate_log, nlogs = -1.
logmsg: syslog.info<46>, flags 4, from ARRIS DOCSIS 3, msg syslogd 1.4.1: restart. Debugging disabled, SIGUSR1 to turn on debugging. pcd: (226): Rule PUMA6SYSTEM_L2SW_INSMODE: Success (Process /etc/scripts/l2switch_drvinit.sh (228)). pcd: (226): Rule SYSTEM_LOGGER: Success (Process /usr/sbin/logger (233)). pcd: (226): Starting process /usr/sbin/arris_klogd (Rule DOCSIS_ARRIS_KLOGD). pcd: (226): Starting process /usr/sbin/l2switch_init (Rule PUMA6SYSTEM_L2SWITCH). pcd: (226): Rule DOCSIS_ARRIS_KLOGD: Success (Process /usr/sbin/arris_klogd (250)). pcd: (226): Starting process /usr/sbin/gim (Rule SYSTEM_GIM). pcd: (226): Rule SYSTEM_GIM: Success (Process /usr/sbin/gim (252)). pcd: (226): Starting process /usr/sbin/sync_app_np_reboot (Rule PUMA6SYSTEM_SYNC_APP_NP_REB). pcd: (226): Rule PUMA6SYSTEM_SYNC_APP_NP_REB: Success (Process /usr/sbin/sync_app_np_reboot (253)). pcd: (226): Rule PUMA6SYSTEM_L2SWITCH: Success (Process /usr/sbin/l2switch_init (251)). pcd: (226): Starting process /usr/sbin/ext_switch_init (Rule PUMA6SYSTEM_SWITCH_INIT). pcd: (226): Rule PUMA6SYSTEM_SWITCH_INIT: Success (Process /usr/sbin/ext_switch_init (254)). pcd: (226): Starting process /usr/sbin/rpc_ifconfig (Rule PUMA6SYSTEM_RPC_IFCONFIG). pcd: (226): Starting process /usr/sbin/portmap (Rule SYSTEM_RPC_PORTMAP). pcd: (226): Rule SYSTEM_RPC_PORTMAP: Success (Process /usr/sbin/portmap (259)). pcd: (226): Starting process /usr/sbin/rpc_management_server (Rule PUMA6SYSTEM_RPC_MANAGEMENT). pcd: (226): Rule PUMA6SYSTEM_RPC_MANAGEMENT: Success (Process /usr/sbin/rpc_management_server (260)). pcd: (226): Rule PUMA6SYSTEM_RPC_IFCONFIG: Success (Process /usr/sbin/rpc_ifconfig (255)). pcd: (226): Rule PUMA6_RPC_LASTRULE: Success. pcd: (226): Rule PUMA6SYSTEM_LASTRULE: Success. pcd: (226): Rule SYSTEM_LASTRULE: Success. pcd: (226): Rule PREDOCSIS_LASTRULE: Success. pcd: (226): Starting process echo (Rule DOCSIS_APPRUN). pcd: (226): Rule DOCSIS_APPRUN: Success (Process echo (261)). pcd: (226): Starting process /usr/sbin/docsis_init_once (Rule DOCSIS_INITONCE). pcd: (226): Rule DOCSIS_INITONCE: Success (Process /usr/sbin/docsis_init_once (262)). pcd: (226): Starting process /usr/sbin/upstream_manager_1q (Rule DOCSIS_US1Q). pcd: (226): Starting process insmod (Rule DOCSIS_SOCIFDRV). pcd: (226): Rule DOCSIS_SOCIFDRV: Success (Process insmod (317)). pcd: (226): Starting process mknod (Rule DOCSIS_MKNODSOCIFDRV). pcd: (226): Starting process insmod (Rule DOCSIS_BRIDGE). pcd: (226): Rule DOCSIS_MKNODSOCIFDRV: Success (Process mknod (320)). pcd: (226): Starting process insmod (Rule DOCSIS_MNG). pcd: (226): Rule DOCSIS_US1Q: Success (Process /usr/sbin/upstream_manager_1q (316)). pcd: (226): Rule DOCSIS_BRIDGE: Success (Process insmod (321)). pcd: (226): Rule DOCSIS_MNG: Success (Process insmod (322)). pcd: (226): Starting process mknod (Rule DOCSIS_MKNODMNG). pcd: (226): Starting process insmod (Rule DOCSIS_KINTR). pcd: (226): Starting process insmod (Rule DOCSIS_CNI). pcd: (226): Rule DOCSIS_MKNODMNG: Success (Process mknod (325)). pcd: (226): Starting process insmod (Rule DOCSIS_FILTERCLASS). pcd: (226): Rule DOCSIS_CNI: Success (Process insmod (327)). pcd: (226): Rule DOCSIS_KINTR: Success (Process insmod (326)). pcd: (226): Starting process /usr/sbin/hal_event_mbox (Rule DOCSIS_HALEVENTMBOX). pcd: (226): Starting process /usr/sbin/hal_cmd_mbox (Rule DOCSIS_HALCMDMBOX). pcd: (226): Rule DOCSIS_FILTERCLASS: Success (Process insmod (344)). pcd: (226): Starting process /bin/sh (Rule DOCSIS_FCDEV). pcd: (226): Rule DOCSIS_HALCMDMBOX: Success (Process /usr/sbin/hal_cmd_mbox (375)). pcd: (226): Rule DOCSIS_HALEVENTMBOX: Success (Process /usr/sbin/hal_event_mbox (374)). pcd: (226): Starting process /usr/sbin/mlx (Rule DOCSIS_MLX). pcd: (226): Rule DOCSIS_MLX: Success (Process /usr/sbin/mlx (382)). pcd: (226): Starting process /usr/sbin/hal_tuner_mgr (Rule DOCSIS_HALTUNERMGR). pcd: (226): Rule DOCSIS_FCDEV: Success (Process /bin/sh (377)). pcd: (226): Starting process /usr/sbin/dbridge_init (Rule DOCSIS_DBRIDGEINIT). pcd: (226): Rule DOCSIS_HALTUNERMGR: Success (Process /usr/sbin/hal_tuner_mgr (390)). pcd: (226): Rule DOCSIS_DBRIDGEINIT: Success (Process /usr/sbin/dbridge_init (391)). pcd: (226): Starting process /bin/sh (Rule DOCSIS_DBRIDGEMDFINIT). pcd: (226): Starting process /bin/sh (Rule DOCSIS_DBRIDGEL2VPNDSI). pcd: (226): Starting process /usr/sbin/arris_init (Rule DOCSIS_ARRIS_INIT). pcd: (226): Rule DOCSIS_DBRIDGEL2VPNDSI: Success (Process /bin/sh (400)). pcd: (226): Rule DOCSIS_DBRIDGEMDFINIT: Success (Process /bin/sh (399)). pcd: (226): Starting process insmod (Rule DOCSIS_PP). pcd: (226): Rule DOCSIS_PP: Success (Process insmod (412)). pcd: (226): Starting process /bin/sh (Rule DOCSIS_PPDEV). pcd: (226): Rule DOCSIS_PPDEV: Success (Process /bin/sh (414)). pcd: (226): Rule DOCSIS_HALREADY: Success. pcd: (226): Starting process /usr/sbin/dispatcher (Rule DOCSIS_DISPATCHER). pcd: (226): Rule DOCSIS_DISPATCHER: Success (Process /usr/sbin/dispatcher (423)). pcd: (226): Starting process lighttpd (Rule DOCSIS_LHTTPD). pcd: (226): Rule DOCSIS_LHTTPD: Success (Process lighttpd (431)). pcd: (226): Rule DOCSIS_ARRIS_INIT: Success (Process /usr/sbin/arris_init (401)). pcd: (226): Starting process /usr/sbin/wlan_rpc_server (Rule DOCSIS_ARRIS_RPCSERVER). pcd: (226): Starting process /usr/sbin/qos_dsx_sm (Rule DOCSIS_QOSDSXSM). pcd: (226): Starting process /usr/sbin/docsis_mac_driver (Rule DOCSIS_MACDRIVER). pcd: (226): Starting process /usr/sbin/cm_status (Rule DOCSIS_CMSTATUS). pcd: (226): Starting process /usr/sbin/ledd (Rule DOCSIS_ARRIS_LED). pcd: (226): Rule DOCSIS_ARRIS_LED: Success (Process /usr/sbin/ledd (436)). pcd: (226): Rule GW_APPRUN: Success. pcd: (226): Rule DOCSIS_ARRIS_RPCSERVER: Success (Process /usr/sbin/wlan_rpc_server (432)). pcd: (226): Starting process gw_reinitd (Rule GW_RESTARTD). pcd: (226): Starting process gw_prov (Rule GW_GWPROV). pcd: (226): Starting process gw_clientdb (Rule GW_CLIENTDB). pcd: (226): Starting process /sbin/udhcpd (Rule DOCSIS_ARRIS_DHCP_SERV). pcd: (226): Rule DOCSIS_ARRIS_DHCP_SERV: Success (Process /sbin/udhcpd (440)). 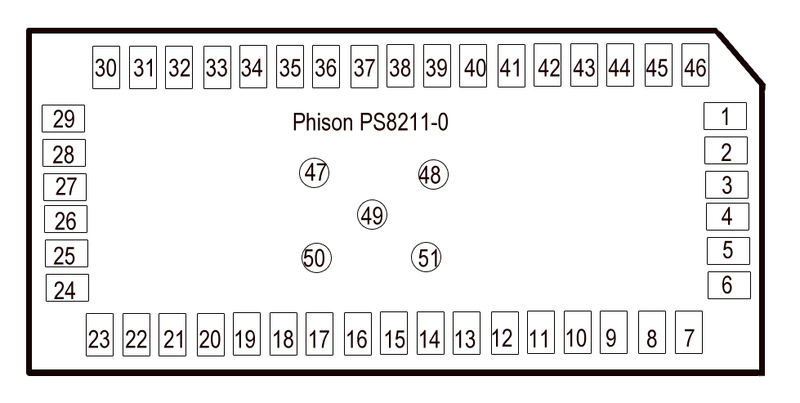 [ERROR] [DOCSIS.HAL_PHY(pid=433)]: DS: PHY_ConfigDsReceiver() failed, PHY supprort only 24DS. pcd: (226): Rule DOCSIS_QOSDSXSM: Success (Process /usr/sbin/qos_dsx_sm (433)).